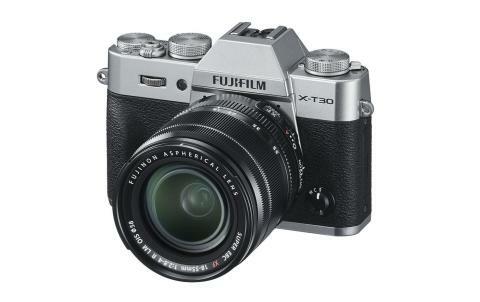 Fujifilm continues its effort to conquer the APS-C mirrorless market with the launch of the $899 X-T30, a slightly stripped down version of the X-T3. It's much improved over its predecessor, the X-T20, with the addition of a focus joystick and much smaller touchscreen. 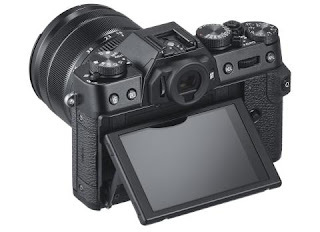 On top of that, it shares the X-T3's 26.1-megapixel X-Trans CMOS 4 BSI (backside-illuminated) sensor and quad-core X-Processor, bringing better resolution and faster shooting speeds. It has a similarly classy, but much smaller body that weighs just 383 grams (0.89 pounds), compared to 539 grams for the X-T3. That sensor has phase- and contrast-detect capability, and lets you shoot at 8 fps with continuous shooting, all the way up to 30 fps with the electronic shutter and a 1.25 crop. You won't be able to shoot for as long, though, due to the smaller buffer and slower SD card speeds. The X-T30 will start shipping next month for $899 (body) and $1,299 with the 18-55mm kit lens. For that price, and with better capability than Sony's A6500, it will no doubt vault to the top of the list for many serious amateur photographers and videographers.